The film is expected to go on the floors next year. 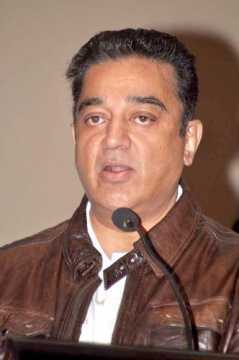 Actor-filmmaker Kamal Haasan turned 64 on Wednesday (7 November) and on the special occasion of his birthday Lyca Productions officially announced Indian 2, a sequel to Shankar’s blockbuster film Indian, which starred Haasan as father and son in dual roles. 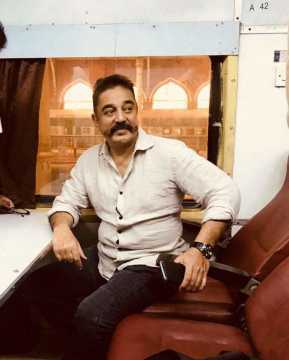 Lyca Productions, on Wednesday, took to twitter to wish Haasan and posted a video through which they announced Indian 2, which is expected to go on the floors next year. In a recent television interaction, the veteran confirmed that his upcoming projects include Indian 2 and Thevar Megan 2. While the makers are yet to officially reveal more details about the project, rumours are doing the rounds that Kajal Aggarwal or Nayanthara might team up with Haasan in Indian 2, which is most likely to have music by Anirudh Ravichander. The pre-production work is already underway and Haasan is expected to shed weight to play his character. He’s believed to undergo strict weight-loss program under the supervision of a team of trainers from the US. The news about Indian 2 was first announced during the first season of Tamil Bigg Boss, which was hosted by Haasan. There are also reports that the actor might revive Sabash Naidu, the spin-off based on the character Balram Naidu from Dasavatharam; however, there’s still no official word on the film. The project went on the floors couple of years ago and the team even shot a schedule in the US. Following an unfortunate incident where Haasan fell from his office stairs and sprained his leg, the project was put on the back-burner. Meanwhile, Indian 2 is expected to go on the floors from early next year. It is rumoured to be predominantly shot abroad. To be made on a lavish budget, Lyca Productions took over the reins of the project from producer Dil Raju after he chose to opt out following reasons unknown. The film will be simultaneously made in Tamil, Hindi and Telugu.